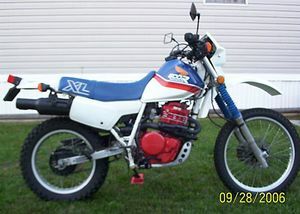 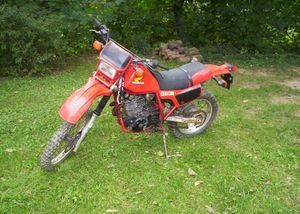 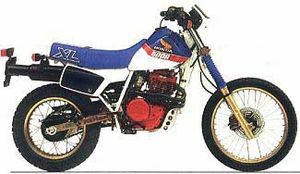 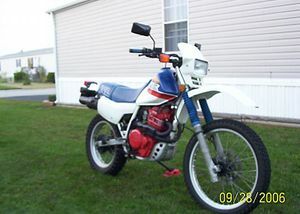 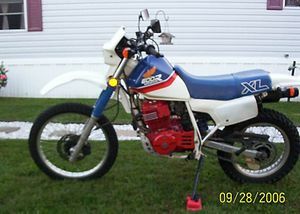 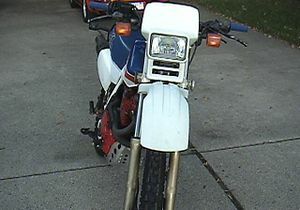 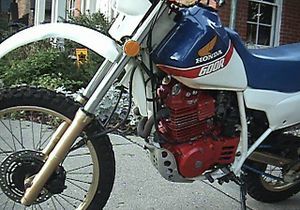 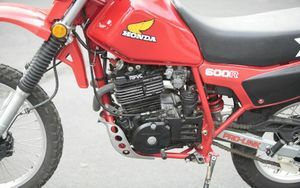 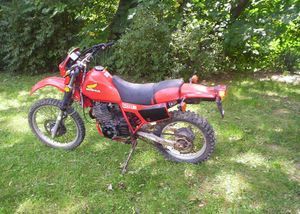 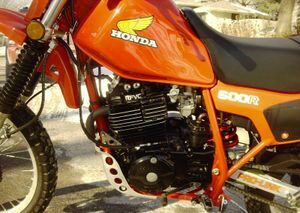 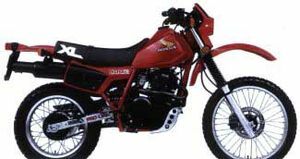 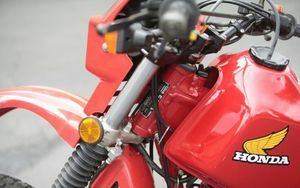 The Honda XL600R is a motorcycle produced by Honda from 1983 to 1987. 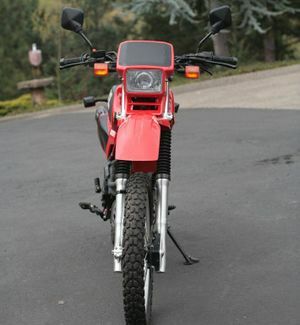 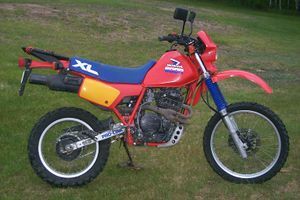 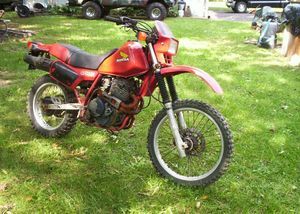 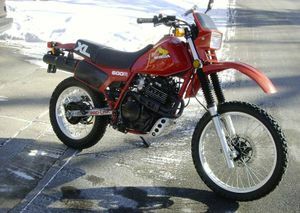 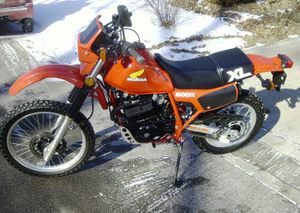 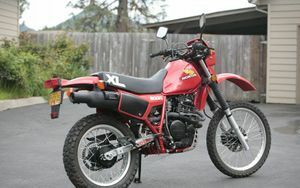 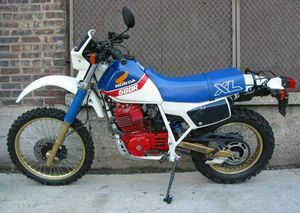 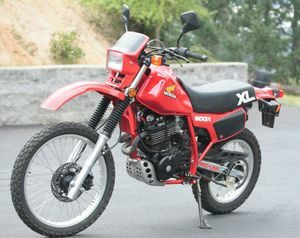 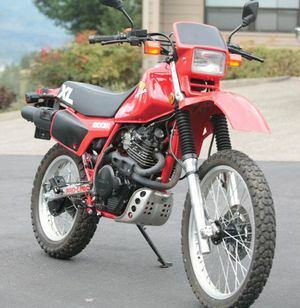 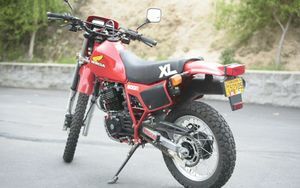 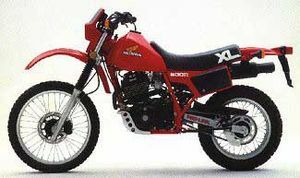 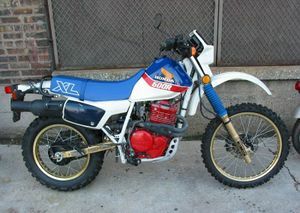 The XL600R'84 was sold in 1984 in one color: Monza Red (in some countries it was called Flash Red). 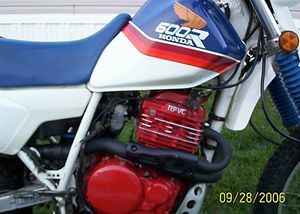 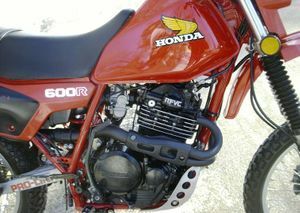 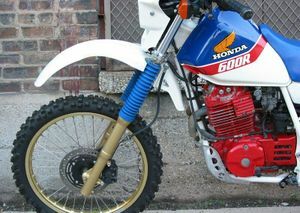 The "600R" side cover decal was red with a white outline. 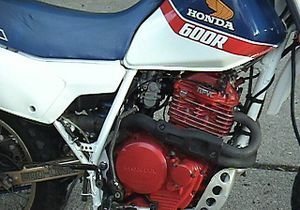 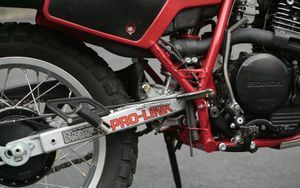 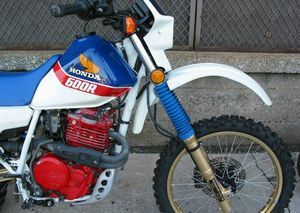 The gas tank, side covers, fenders, headlight cowl, and frame were red. 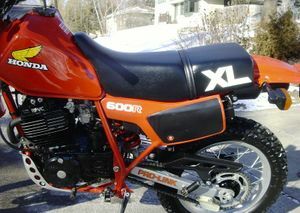 The seat, fork boots, number plate panels, and engine were black. 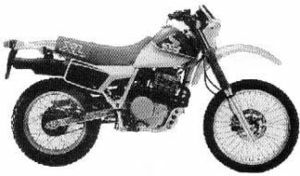 The wheels, fork legs, and swingarm were silver. 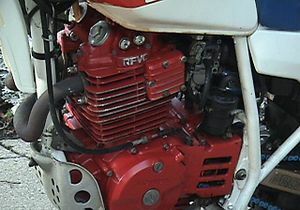 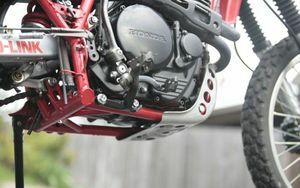 The engine was a 589cc OHC RFVC single cylinder with two carburetors, dry sump, and two head pipes. 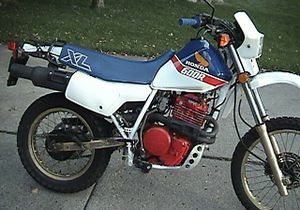 The transmission was a 5-speed.